Walls have a huge impact on the overall look and feel of an interior. Getting the walls done perfectly is half the struggle when it comes to designing a beautiful and coherent interior for your room. Below we share some unique wall design ideas that would help you stand out from the crowd and make a unique statement with your interior. Different textures, colors, and material combination can be used to create completely original and striking wall designs. 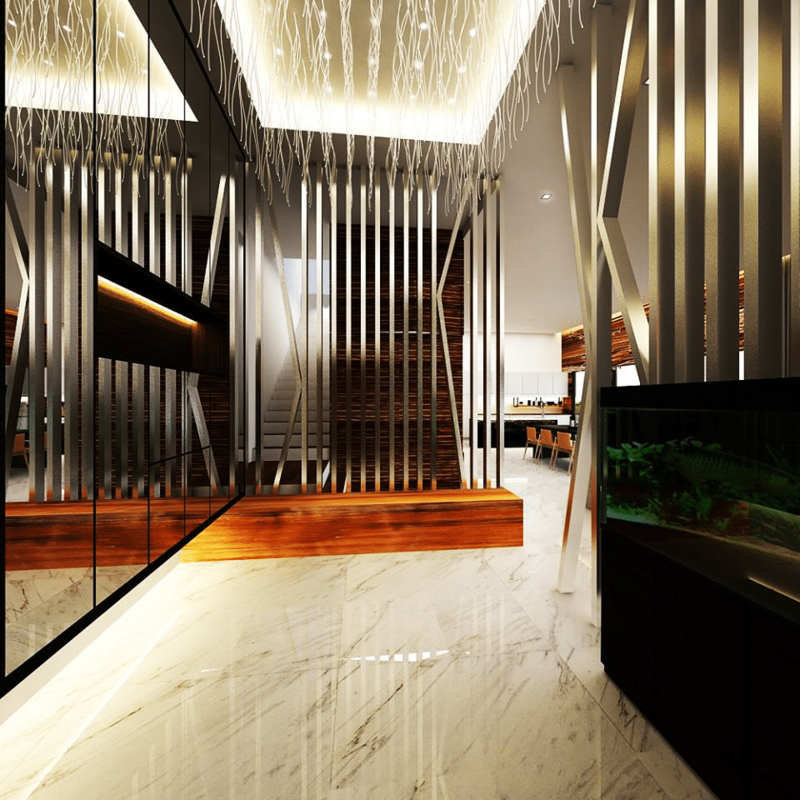 In this particular design the application of unique textures of wood paired with stark white floor and ceiling convey a strong impression. The beautiful creamy textures running along the length of rich caramel colored wood looks absolutely amazing. The stunning combination of textures in this interior grabs the attention of the visitors and leaves them spell bounded with their amazing beauty. Modern trend in interior designing is all about using the beauty and opulence of different materials to create a striking image. 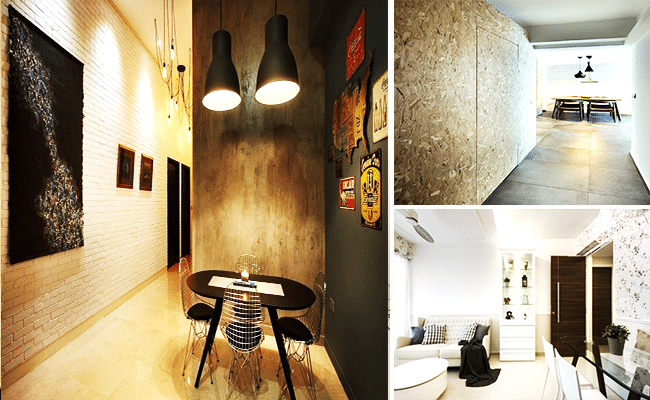 The utilization of metal with wood is a unique combo that would add a modernistic charm to your walls. This beautiful design captures the eye with its complex geometry and beautiful display of textures. The wooden base creates a classic feel while the steel bars add a modernistic grunge to the interior. This unique wall idea is exquisitely simple but achieves a drastically beautiful effect. This interior is a distinct look that you don’t see every day. 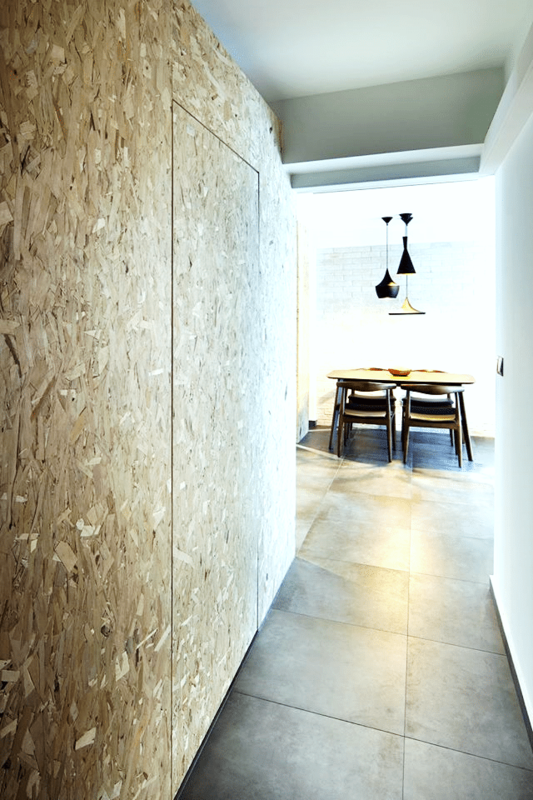 The scrap wood walls add a unique feel and beauty to the interior. Imagine walking through this hallway and getting lost in the mesmerizing patterns and textures of the scrap wood. The grey cement like floor affirms the expression of rustic charm making your heart beat with excitement. This is an amazingly unique wall design that would definitely make your house stand apart. Brick walls have been a popular choice for decades. They have a unique flavor and a distinct look that can highlight the finesse of the rest of the elements in the room. Here the beautiful subway style brick wall is adorned with a contrasting painting to highlight the simplicity and rustic charm of the interior. The pairing of different artistic elements gives it a art gallery like feel that can be perfect for tenants that love artistic interiors. Where the rest of interiors on this list explored diverse materials and unique looks this interior goes for a traditional but absolutely stunning material. Wallpaper is a cheap and very effective tool for beautifying your walls and adding a depth to your interior. This elegant white floral wallpaper enhances the quality of interior without digging a hole through your bank account. 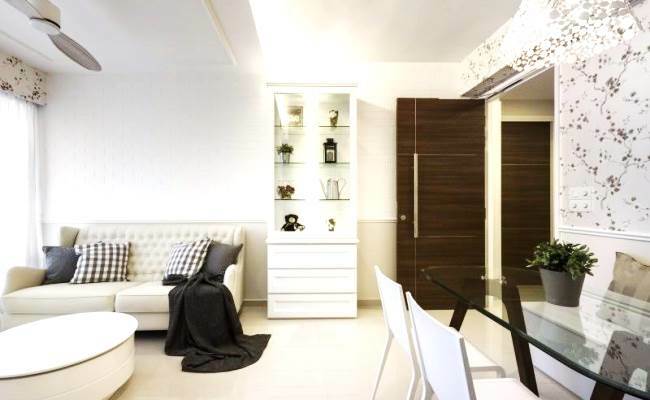 An all white interior instills a sense of spaciousness in the interior making the design liberating and exciting.